Hi Guys! 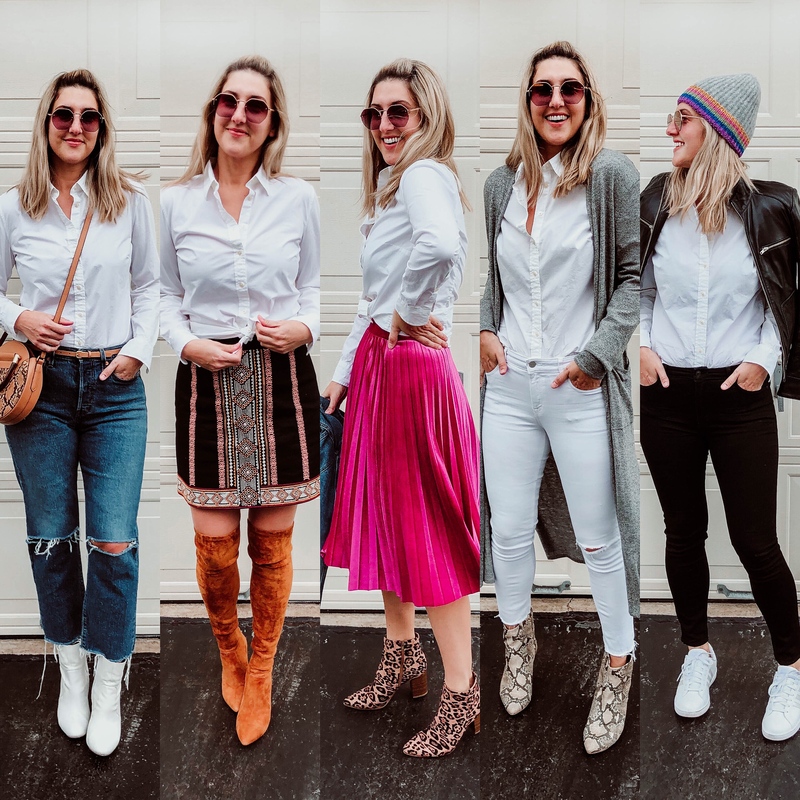 This week is all about a classic white button down. I gotta be honest, it’s something I never wear, and was a bit challenging for me to figure out the 5th look. However, it’s something I think we all have in our closet’s, and such a great versatile piece! I could’ve done a 6th and paired it with a blazer, so keep that in mind when you’re styling yours. 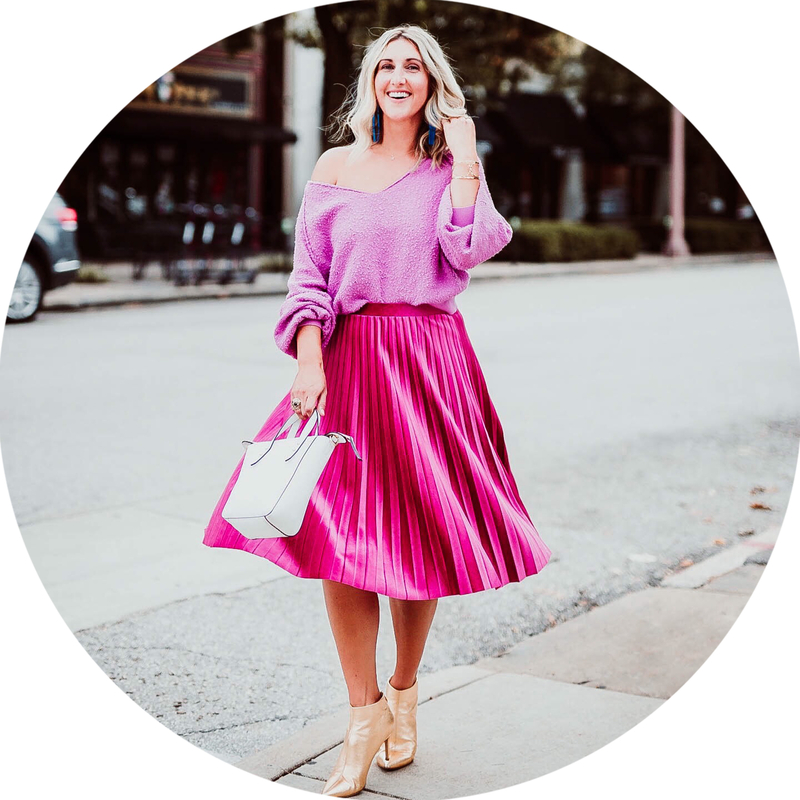 These 5 ways to style started with HERE with those mules, and has really inspired me to make these a weekly occurrence. I asked on my Instagram stories what all you guys would want to see styled 5 ways and y’all gave me some awesome ideas. I will get to them all! Be sure to comment below, or message me on Insta if you would love to see something styled, too. This outfit is one we all have: denim and a button down. I paired the shirt with these classic Levi’s, but it would look great with any type of denim you have. I also love this look with a belt, which is another thing I never wear! I always love the way belts look with outfits, but when I try one, it never looks right. However, I love it here. You could do any variation of booties, or also a pair of mules would look great with this outfit. You could also add a blazer with this look! You guys have seen a ton of these boots lately, and they aren’t going anywhere! 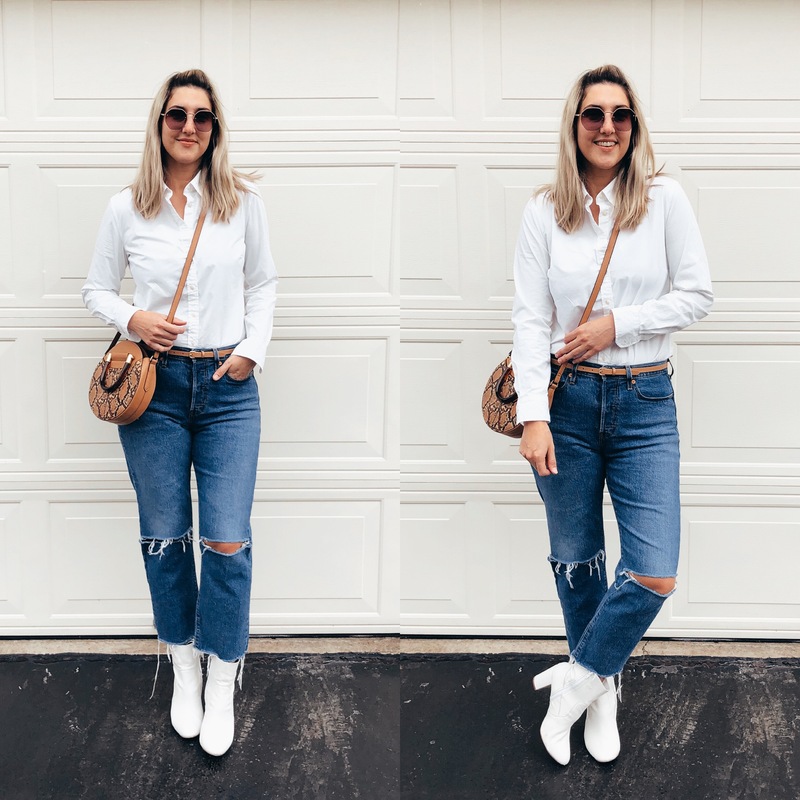 If you missed last week’s 5 ways to wear it post, it’s all about these boots and you can find it HERE. 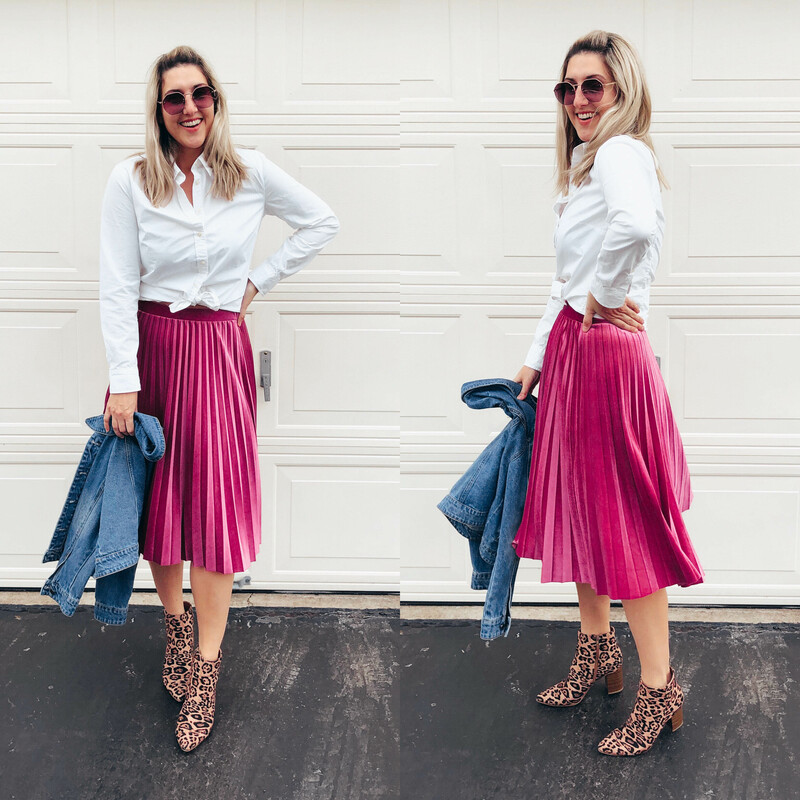 A classic button down begs to be worn with a skirt and tied at the waist! It just goes together so perfectly. I paired it with this cute skirt and OTK boots, since the skirt is on the shorter side. PS- this skirt is currently on sale and fits so well! You can find it HERE. Same concept here, but with a midi skirt. I have it tied at the waist again, and added a pop with the booties! You guys know I love doing a monochromatic look, and am a sucker for all white. I just love the classic look and adding a cardigan breaks it up a bit. 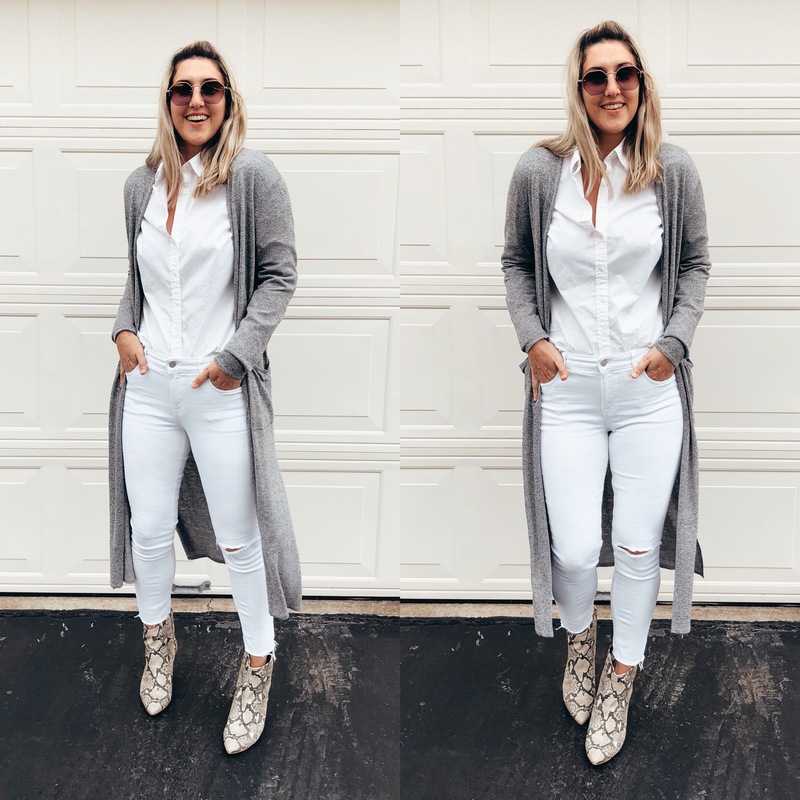 My white jeans are from Old Navy (can be found HERE), and fit so good. Their denim hasn’t been fitting me right the last few years, but these fit perfectly! They aren’t see through either, like some can be. Again, there are so many variations you could do with the booties and cardigan, but this gives you the basic idea. Lastly is a casual black denim look. 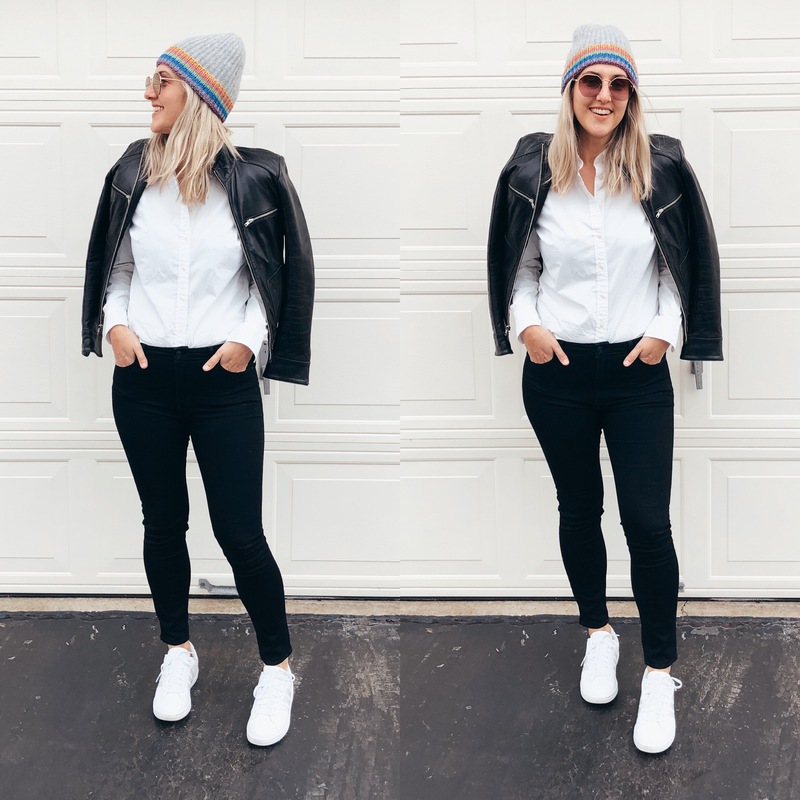 I was so hesitant to hop on the white sneaker trend because I didn’t know if I would actually wear them, but I am full on obsessed and want to pair them with everything! Dressy or casual, they look great with it all. I feel like this is another classic look with a button down, and is so simple, but looks chic and put together. You could add a blazer with this look as well, or a classic trench coat.